Picture the scene. You’re off on a trip. You get to the airport and decide to check Facebook. Disaster! You forgot to charge your phone and are forced to sit and watch the planes for hours whilst your own is delayed. You arrive safely at your hotel and decide to check Facebook. It's been a long time now. Many hotels and venues still only offer wired internet or charge extra for WIFI. Can it be converted to wireless? Disaster! The hotel wireless won’t reach your room and the Ethernet socket in the wall teases your smartphone mercilessly. You give up on Facebook and decide to sit back and watch ‘The Social Network’ movie on your iPad. Disaster! Your pathetic 16GB device didn’t have enough space for Apple’s massive IOS8 update and you’d had to delete all your films. If only there was a gadget that could charge your phone, convert wired internet to wireless (or drive a 3G dongle) or stream movies, photos and music to your iPad/Android tablet then EVERYTHING WOULD HAVE BEEN OK!!! Behold! 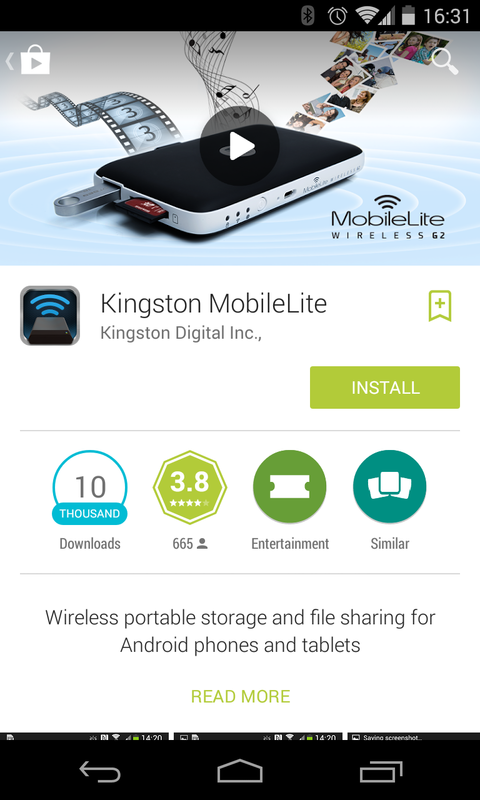 The Kingston MobileLite Wireless G2. I genuinely didn’t know what to make of the MobileLite when I first saw it on Amazon. It's about the same size as a pocket hard drive and half the weight. This is a device that solves so many problems you didn’t know you had that it’s hard to know if you should press the buy button or not! Encased in a vaguely tactile plastic, taking a closer look at the MobileLite would give little clue as to its purpose. Black plastic covers the top and the bottom and all buttons, lights and sockets are to be found on the white band that runs round the edge. 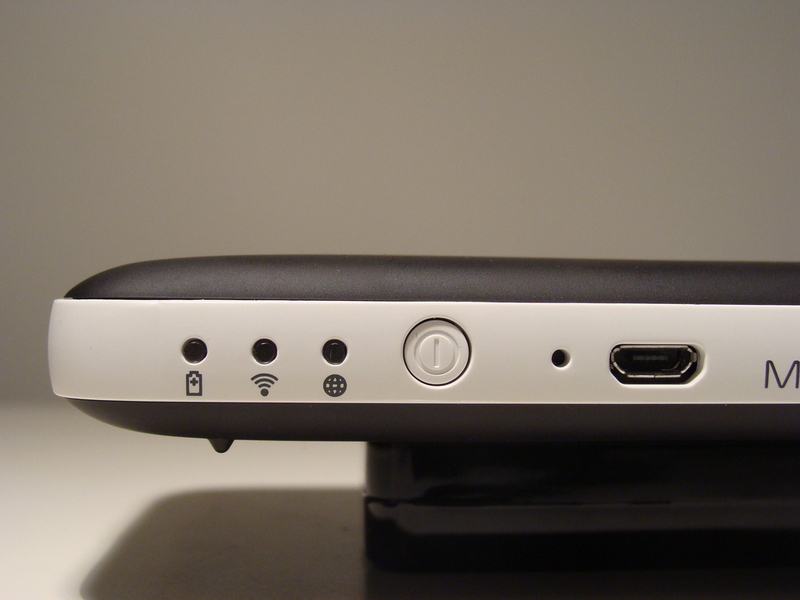 One the front edge, there is a micro-usb socket used to charge the internal battery. The battery will power the device or charge your phone. Definitely handy. Power, WIFI, internet? This little fella likes to be connected. Next to the power button (one short press for battery charge function, a longer press for full operation) there are three lights which suggest this is more than a mere external battery. The first is clearly the power light, the second is instantly recognisable as WIFI and the third suggests it is lit when a connection to the internet is available. 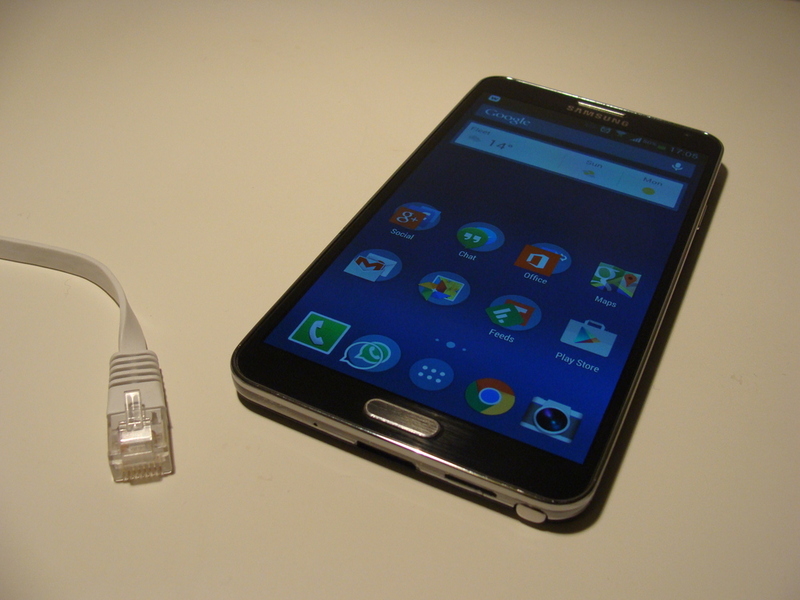 Moving round the back, a single full-sized Ethernet (wired network) socket also hints that the MobileLite’s main trick has to do with being connected and then on the left there is both a full sized USB socket and a large SD card reader. Put all these things together and you get a device that can stream movies, photos and music to your mobile gadget (smartphone or tablet) from a USB stick or SD card over a direct wireless connection using WIFI. No cloud required. Given the lack of instructions in the box, I wondered how complex it would be to set up, but all I had to do was visit the App Store (or Google Play, Android fans) and download the MobileLite app. The app walked me through the simple setup steps and within 2 mins I was connected wirelessly to the media player, which itself was wirelessly connected to the WIFI internet supply so that I didn’t have to miss out on that crucial Facebook update. So who would want to watch movies and listen to music off one of these on their phone or tablet when that phone or tablet doubtless has its own storage? Well, whilst clearly not for everyone, there are some advantages here that are worth exploring. Firstly, there are lot of gadgets, most noteably iPads and iPhones, that do not come with upgradable storage. The premiums between say 16GB and 32GB of storage can be high and many keep the costs down by buying the base model. Secondly, if you have something on a usb stick, or perhaps a bunch of photos on your camera's SD card, you'll have a job using them with most mobile devices unless you bought your laptop along for the ride. 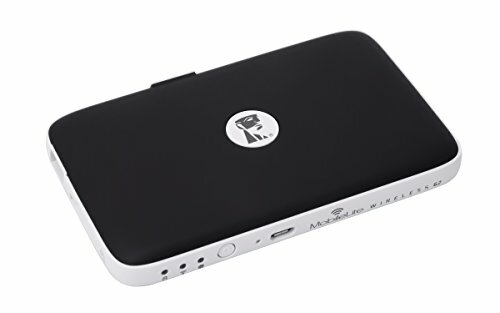 For the price, the MobileLite is a very cheap solution for expanding your mobile media library. It's also a lot easier to put your movies and music onto a USB than it is to get them onto many tablets. Anything that helps me not need to fire up iTunes wins my instant gratitiude! I can also see it being useful for those who manage a lot of devices. I'm thinking of parents who might have two children to entertain on trips and holidays, each of whom owns a tablet. Rather than having to manage multiple copies of every movie or album, the kids can just stream it from one place. Now at home with broadband, this may not be a big sell, but we're still a long way from the internet being fast an ubiquitous enough to stream movies etc as you hurtle down the motorway or sit killing time in a train carriage. Everything is done through the MobileLite app. It's a bit plain, but thankfully very easy to navigate and use. If you're playing with it at home, you'll need to manually switch your device from your home WIFI to the MobileLite's one. A minor inconvenience, but when travelling around, your gadget will find it first and that's when you'll mainly be using it. On the left side of the window, you'll see the contents of any connected USB stick, SD card and your offline files ready to tap and view. At the top right, you can open your menu which allows you to set up the WIFI passthrough, or 3G dongle so now you have a mobile internet router. 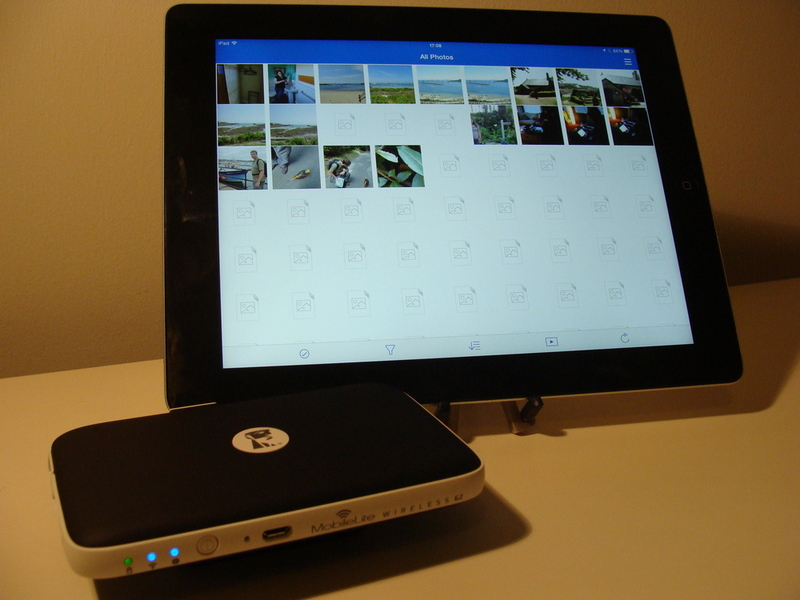 Finally, you can also group together all your movie, photos or whatever together for slideshows and playlists. As a personal travel companion to augment your other mobile devices storage and capabilities, I think for the price, the MobileLite is an incredibly handy device. If you are on holiday with a family, who also love their gadgets. Being able to share out an internet connection and stream media to up to 5 devices simultainiously, is probably second only in importance to air itself! I was unable to find any problems persay with the MobileLite. It's definitely a better way to access a lot of content when on the move, rather than rely on cloud services, but you do have to be a little patient for photos to be made available (thumbnails take time to populate) and movie files must still be in a format that your device can play back - so bear than in mind if your travel companions have different gadget allegencies. Otherwise, this rather strange gadget could be the one you always needed, but never knew it!